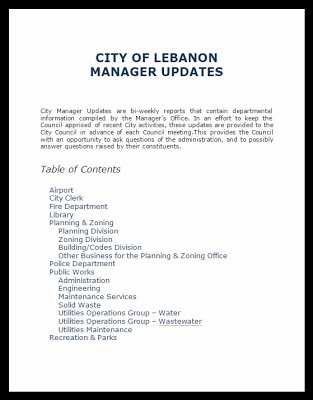 City Manager Updates are monthly reports that contain departmental information compiled by the Manager’s Office. In an effort to keep the Council apprised of recent City activities, these updates are provided to the City Council in advance of their mid-month Council meeting. This provides the Council with an opportunity to ask questions of the administration, and to possibly answer questions raised by their constituents.